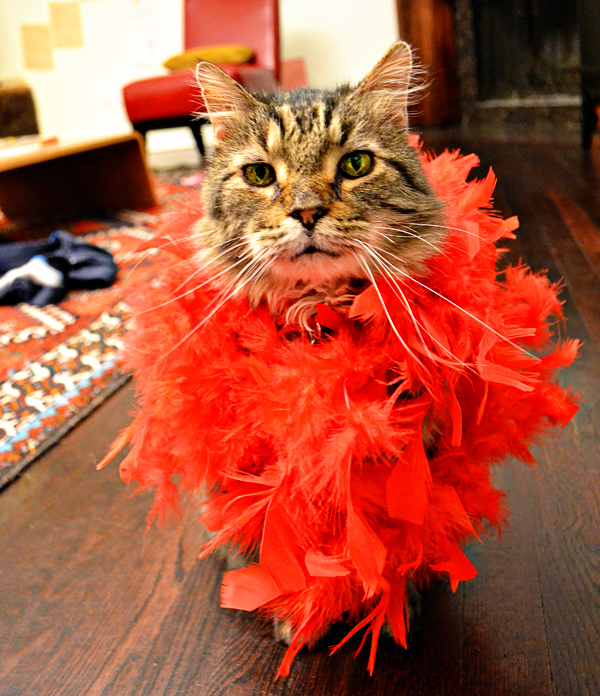 What...doesn't everyone put a red feather boa on their cat and do a photo shoot??? I would not have thought he would look so good in Red, thinking Blue might be his color .. If I put something around my little cats neck, he would run backwards til he crashed.